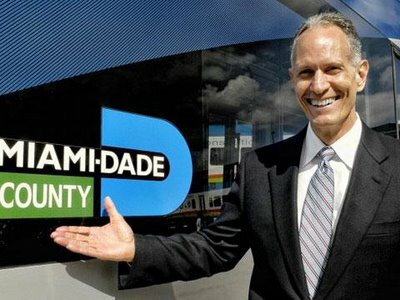 MIAMI – A billionaire fed up with tax hikes and a growing county payroll is trying to make Miami-Dade County's top elected official the first mayor of a major American city or county to be recalled from office in decades. The recall effort against Mayor Carlos Alvarez, which comes as South Floridians have lost homes and jobs at a record pace, reflects campaigns in cities less populous than Miami-Dade, where citizens have increasingly used recall elections as a political weapon rather than a tool to attack major corruption. Miami-Dade Mayor Carlos Alvarez, in a bare-knuckled fight to keep his job against a mounting recall effort, has received a major financial jolt from the Florida Marlins and contractors building the team's new stadium. The Marlins' owner Jeffrey Loria and team president David Samson have given $50,000 to the political action committee Alvarez formed to fight a recall targeting him -- a year after the mayor successfully pitched more than $350 million in public money for the stadium. The general contractor hired to construct the stadium -- Hunt/Moss -- has written a check for $5,000. The company pouring cement at the ballpark, Baker Concrete Construction, contributed another $5,000. The cabinet-maker, mechanical and electrical contractors at the Little Havana park have collectively written checks for more than $13,000. All told, the low budget ballclub and builders of the new stadium handed $73,500 in checks to Alvarez in November. Alvarez's decision to back public funding of the stadium in 2009 -- a deal approved by county and city commissioners -- is one of several flashpoints that have stoked voter anger. Braman, a car dealer who has often used his private fortune to wage public fights, previously sued unsuccessfully to stop the use of public money for the park. Alvarez said the stadium is creating jobs when they're needed most. Yet on Thursday, some county commissioners critical of the deal may ask the mayor to reopen talks with the team, a long shot hope to up its contributions in the wake of reports about its profits. Alvarez's second biggest contributor is the Dade County Police Benevolent Association -- the Miami-Dade police union -- which gave $50,000 on Oct 1, according to public filings. A former Miami-Dade police director, Alvarez pushed through a 13 percent salary increase earlier this year for police officers as county tax rates are rising 12 percent on homeowners. Taken together, the Marlins and county police union account for nearly 60 percent of all the money he has raised. Jorge Munilla, president of MCM, a construction company that regularly does business with the county, wrote a check for $10,000, according to the report. Lobbyist Ron Book, who has lobbying contracts with both Miami-Dade County and the Miami Dolphins, gave $10,000. The Dolphins want Miami-Dade to raise hotel taxes to fund a $190 million renovation of their stadium, which Alvarez said he opposes. Developer Jorge Perez of The Related Group, who is business partners with Dolphins owner Stephen Ross, wrote a check for $10,000. Clerk of Courts Harvey Ruvin certified signatures from voters seeking to oust Dade Commissioner Natacha Seijas, days after doing the same with an effort targeting county Mayor Carlos Alvarez. Miami-Dade County Commissioner Natacha Seijas is going to face her second recall vote in less than five years. Clerk of Courts Harvey Ruvin certified Thursday that the necessary number of signatures from voters has been legally collected to require an election on whether Seijas should be tossed out of office within the next three months. Under the county charter, 4 percent of registered voters must sign a petition for a recall to be triggered. In Seijas' district, which includes Hialeah and Miami Lakes, that amounts to 3,591. Ruvin determined that 4,373 valid signatures were collected. The certification of Seijas' petitions comes two days after Ruvin declared that a separate petition drive seeking the recall of County Mayor Carlos Alvarez had gathered the requisite signatures to prompt a recall vote. It's been nearly 40 years since such a recall was successful; four Miami-Dade County commissioners were ousted in 1972. The swindlers who run the Florida Marlins got exposed Monday. They are as bad as anyone on Wall Street, scheming, misleading and ultimately sticking taxpayers with a multibillion-dollar tab. Corporate fraud is alive and well in Major League Baseball. A look at the leak of the Marlins’ financial information to Deadspin confirmed the long-held belief that the team takes a healthy chunk of MLB-distributed money for profit. Owner Jeffrey Loria and president David Samson for years have contended the Marlins break even financially, the centerpiece fiscal argument that resulted in local governments gifting them a new stadium that will cost generations of taxpayers an estimated $2.4 billion. They said they had no money to do it alone and intimated they would have to move the team without public assistance. In fact, documents show, the Marlins could have paid for a significant amount of the new stadium’s construction themselves and still turned an annual operating profit. Instead, they cried poor to con feckless politicians that sold out their constituents. Somehow a team that listed its operating income as a healthy $37.8 million in 2008 alone swung a deal in which it would pay only $155 million of the $634 million stadium complex. Meanwhile, Miami-Dade County agreed – without the consent of taxpayers – to take $409 million in loans loaded with balloon payments and long grace periods. By 2049, when the debt is due, the county will have paid billions. Most harrowing is the takeaway that baseball’s biggest welfare case could have funded a much greater portion of the ballpark. In 2009, when the Marlins started spending some of their profits on their portion of the stadium, they still had an operating income of $11.1 million. The team fought to conceal the $48.9 million in profits over the last two years because the revelation would have prompted county commissioners to insist the team provide more funding. 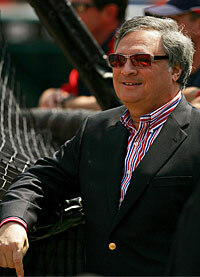 Loria, an art dealer with a net worth of hundreds of millions, wouldn’t stand for that. He wanted as much public funding as possible – money that could’ve gone toward education or to save some of the 1,200 jobs the county is cutting this year. Well, now we have a look, and it’s clear what happened: The Marlins loaded money into their coffers and held hostage a city afraid of losing a team, then leveraged it into a sweetheart deal like so many teams across baseball during the stadium boom of the last 20 years. "It's not that teams need new stadiums, either," said Neil deMause, whose book "Field of Schemes" blew the lid off ballpark boondoggles. "They need new revenues. It’s really just a bailout. It would be cheaper to just give the teams the money. But then it would just look like a handout. The stadiums have become part of the business model for teams." Not nearly enough credit goes to the proliferation of new stadiums for turning the game into a $6 billion-plus business. In case after case, teams built stadiums with a majority of the funding from public sources and today keep nearly all of the profits generated from games. Commissioner Bud Selig traveled city to city, the pied piper of ballparks, urging voters or city councils or whoever held the checkbook to do the right thing. Always left unsaid was his implication: Or else. However idle the threat, it almost always worked. And it's still working. Even if Miami isn't exactly a baseball town – the Marlins are behind the Dolphins and Heat in popularity – Samson believes the new stadium on the old Orange Bowl site will expand the team’s season-ticket base from around 5,000 to 15,000 or 20,000. If-you-build-it-they-will-come is nothing more than a myth, proven false by Pittsburgh and Washington and Cincinnati. a. The Marlins procured $5.3 million in funding from the county’s Art in Public Places department and gave $2.5 million of it to pop artist Red Grooms, who will design a piece with pelicans and seagulls and bright colors and abstract shapes and, best of all, animatronic marlins that celebrate home runs. b. Billy the Marlin will hold nightly karaoke sessions in left field. c. Behind the catcher will be 58 feet worth of reef-fish-stuffed aquariums built into the backstop. The day after a recall campaign of Miami-Dade County Mayor Carlos Alvarez was formally launched, a separate bid is brewing to remove five county commissioners who voted to hike the property tax rate at a time when county employees were handed raises. A political action committee called Miami Voice filed papers Thursday with the Miami-Dade clerk of the courts seeking approval to launch a petition drive aimed at recalling Chairman Dennis Moss and Commissioners Natacha Seijas, Bruno Barreiro, Audrey Edmonson and Barbara Jordan. If the petition form is approved, the group will have 60 days to obtain signatures from 4 percent of the registered voters in each of the commissioners' respective districts in order to call special elections. Brito said the move was triggered by commissioners' decision to raise the property tax rate -- but was also built upon several years of decisions which she said run counter to the public will. Brito, for instance, said voters approved the half-penny transit tax in 2002 to expand public transportation, yet county commissioners later put money toward maintenance of the current system. She similarly chided commission approval of public funds for construction of a new Florida Marlins ballpark. 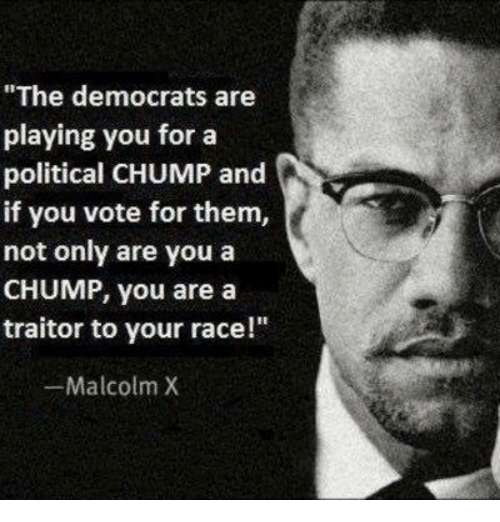 How did Y miss this about these Democrats, oh wait they are Republicans? i didn't miss a dam thing. you get what you vote for. they re-elected them. why are they upset. if they get voted out their replacements better listen to the people. if they vote out all the commissioners who will run the government.